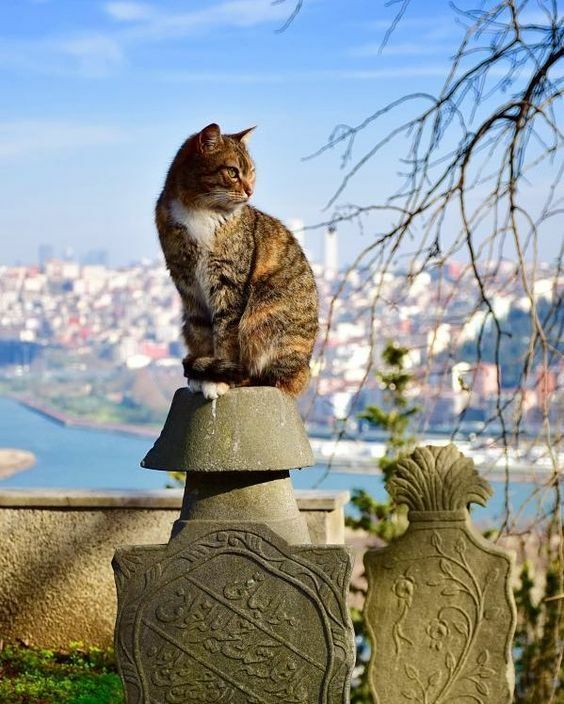 History has graced this appealing settlement with many different names – among them Constantinople and Istanbul are the most outstanding. But it has also been called New Rome, Byzantion, Antoniniana, Queen of Cities, Miklagard, Tsarigrad, The Gate of Happiness. Constantinople was named after the Roman Emperor also known as Constantine, the Great. 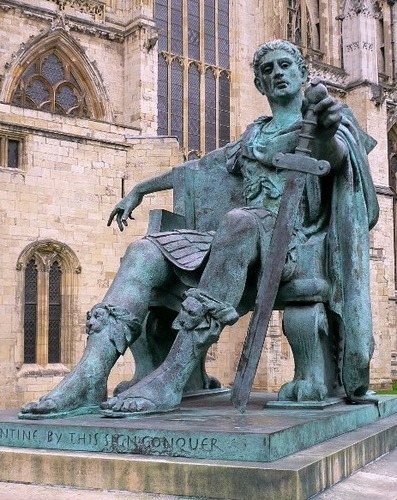 The name Constantine stands for “constant and steadfast” in Latin. In 1548 Pierre Giles wrote that “Constantinople alone seems to have a kind of immortality and will continue to be a city as long as humanity shall live either to inhabit it or rebuild it.” The name Istanbul, on the other hand, is derived from the Greek phrase “eis ten Polin,” which means “to the City.” Perhaps it remained The City (Istanbul) for that name was most eloquent of all. 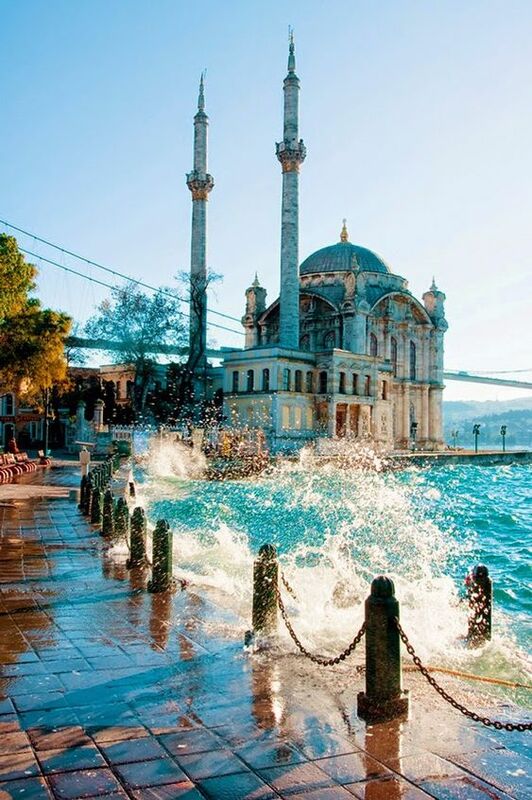 Istanbul is one of the most attractive tourist destinations known to humans. It’s the only city that lies spread across two continents: you stand in Europe, but you see the shores of Asia. 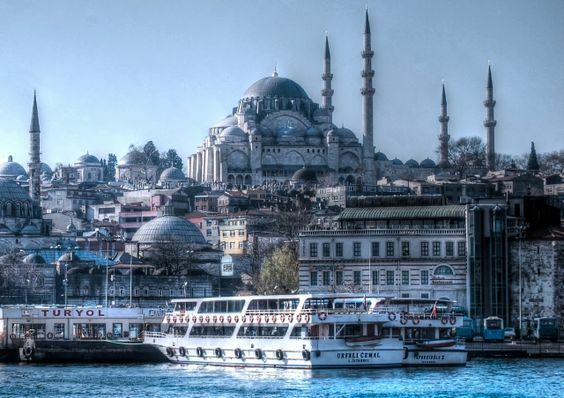 The origins of Istanbul are rooted in the childhood of Western civilization. It was founded by the ancient Greeks in 667 BC, who gave it the name Byzantium. It is the most strategically founded city in the world. Because of its location, the city controlled the trade for the Black Sea – and it became and remained prosperous. 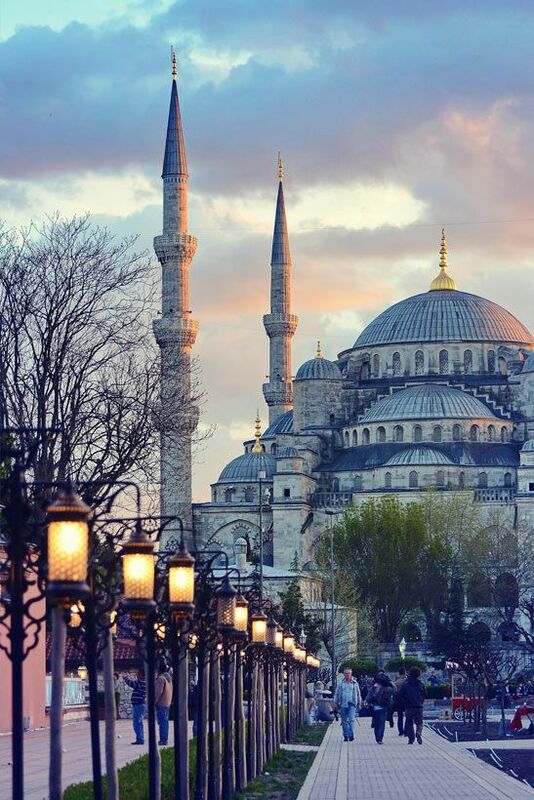 This city has been a capital of four great empires: Latin, Roman, Byzantine, and Ottoman. It is visited by ten million tourists a year. How this city came to dominate its worlds is a story worth learning. white table covers, red velvet chairs, crystal, napkins, golden curtains and pink lampshades, heavy luxury, and style – this six-day pleasure costs £5700. If it feels strange to want to travel around for this sum of money, you can always take a fast plane or a modest bus. Or you can arrive by ship at the natural harbor of Istanbul, called the Golden Horn: it is the major inlet of Bosphorus – shaped like a horn. Historians believe that “golden” stands for the riches brought by merchants of different origin and culture, which heaped at its shores. 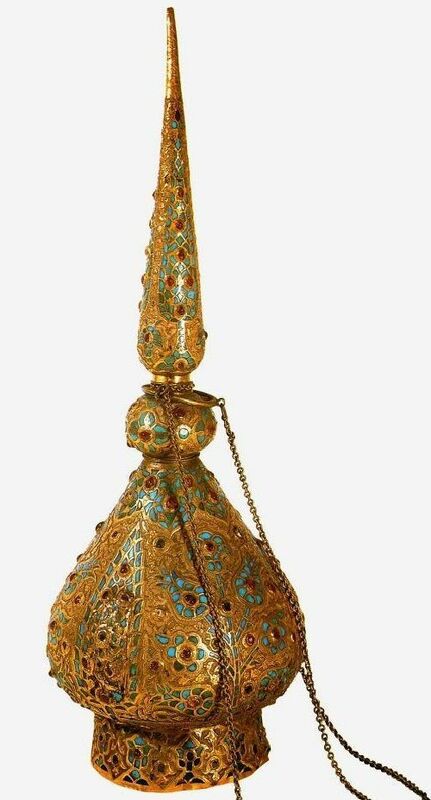 The search for profit gave birth to the City of Istanbul. 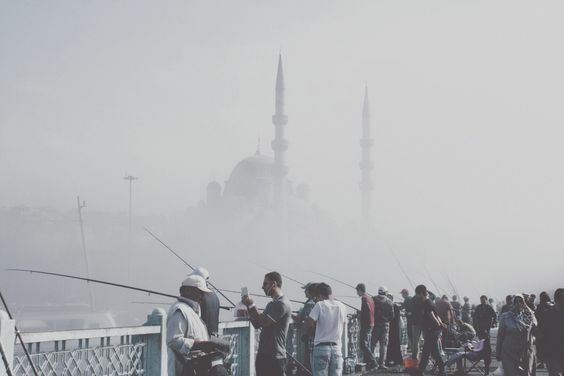 Even nowadays you can see plenty of men fishing at the Golden Horn. 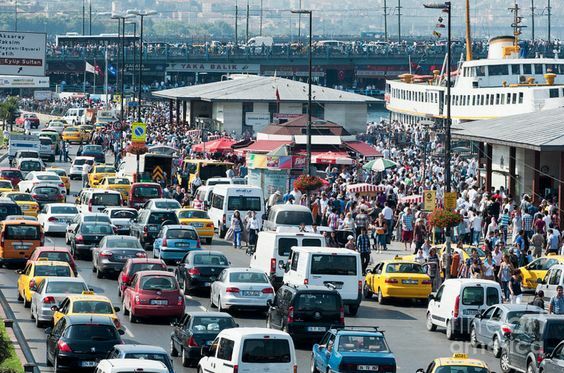 In this urban marvel, taxis and buses, and even ordinary automobiles jam the streets, navigated by men with their hands habitually on the horn. Crowds cross the street even when the red light is on in this noisy chaos, second only to Cairo in its freedom of street movement. 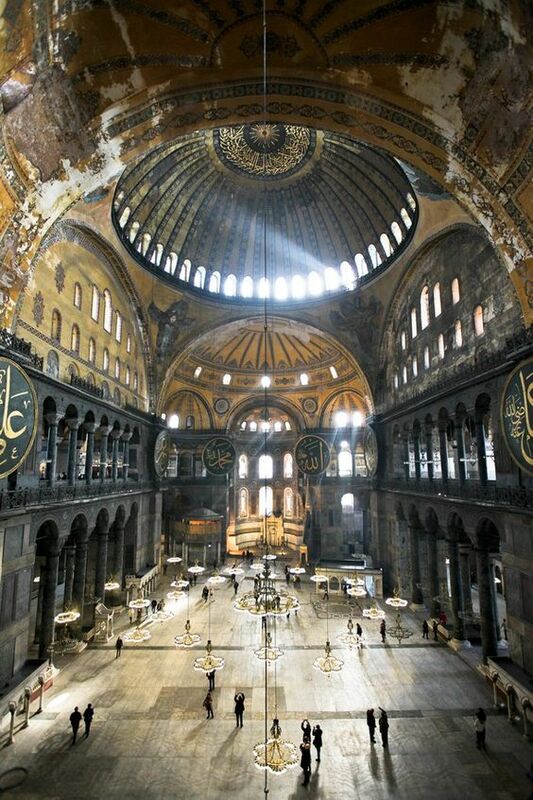 Hagia Sophia – or Holy Wisdom in Greek is a breathtaking place of worship built by the Byzantine Emperor Justinian I. Its construction required ten thousand workers and materials from Turkey, Syria, Egypt and Ephesus. Its entire name means: “Shrine of the Holy Wisdom of God.” It was originally a church, but after Constantinople was conquered by the Ottoman Empire’s leader Mehmed the Conqueror, the building was converted into a mosque. Allegedly, after building this miraculous museum, Justinian exclaimed “Solomon I have outdone thee!” – comparing his architectural achievement to the Temple of the Biblical King Solomon. Walking inside makes worth the hours you are going to spend queuing in front of the historical building. It is the story of western civilization in one building; you can get lost in architecture, religion, art and history. People love it for its enormous dome made by marble, stone and special bricks. 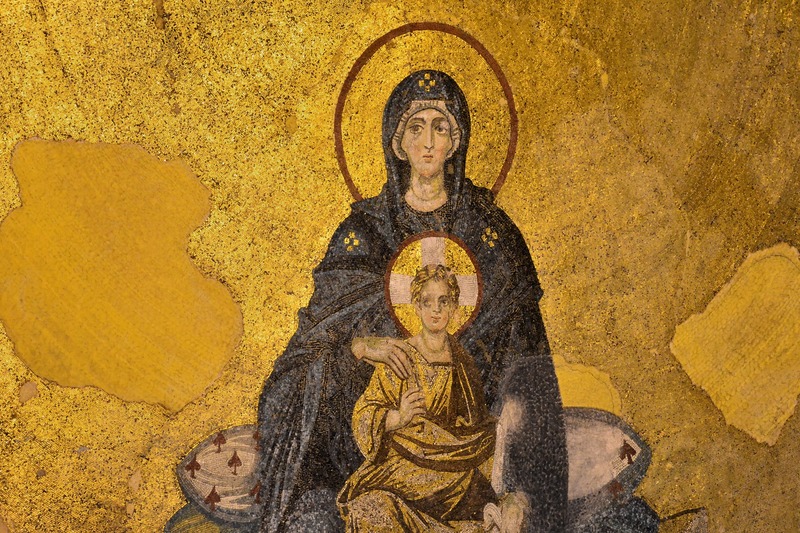 There are many superstitions and city legends about the mosaics and icons of Hagia Sophia. 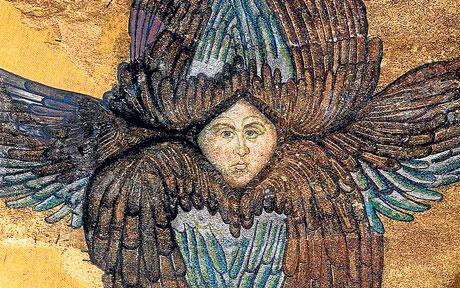 Rumor has it that Constantinople never fell thanks to the four identical angels depicted on its dome – six winged seraphims, which protected the Lord’s Throne in Heaven. 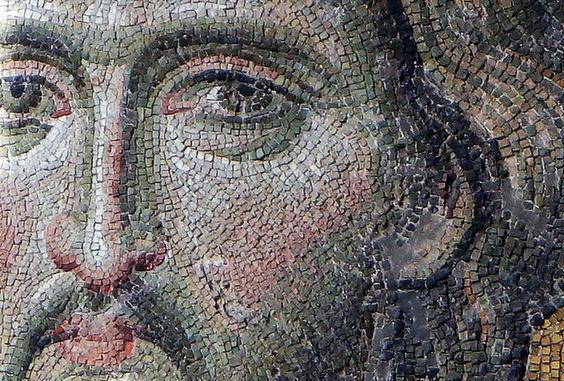 as well as images of the Imperial couples and Jesus. Images are really powerful things. Gold is employed to represent the divine light of heaven. There is a column with a hole in the middle, covered by bronze place – also named the perspiring column, or the wishing column, and it has become blessed and is known to have a healing effect on humans. Legend has it that Emperor Justinian was wandering in Hagia Sophia with a severe headache – he leaned his head to this column and realized his headache was gone. People started believing that if they put their finger into that hole and rub the ill place, the disease will go away. 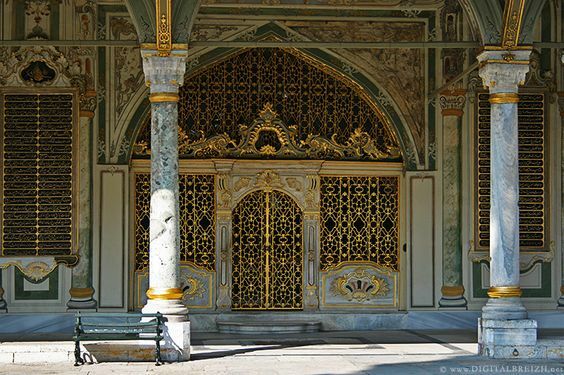 The gate to Topkapi Sarai opens early in the morning with the first prayer and closes at night after the last. Sometimes a sultan allowed himself to shoot random passersby from the gate – purely for enjoyment. 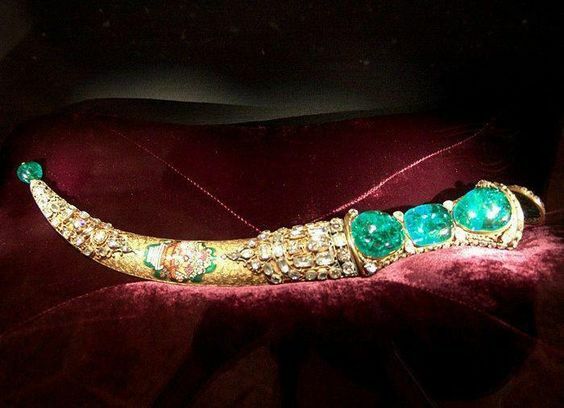 Surrounded by the sea, it’s a fantastic complex of courtyards, gardens, fountains, harem, royal kitchens, and a treasury which is a collection of priceless antiques, including the biggest diamond in the world. 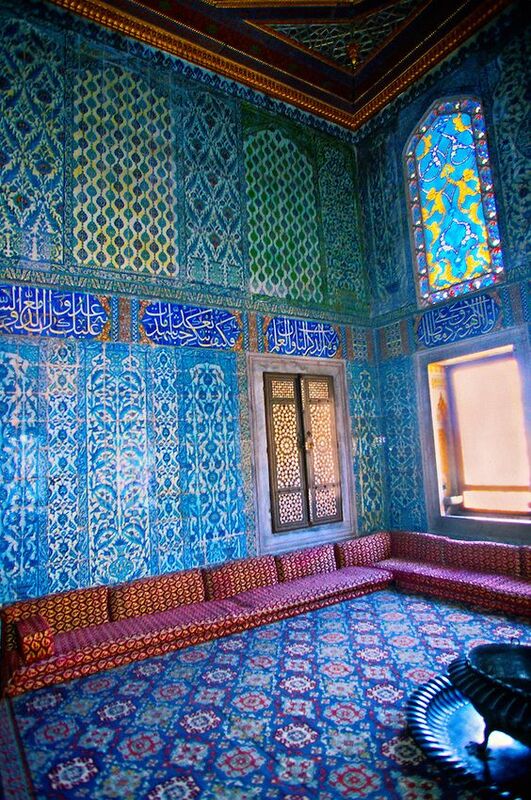 In this beautiful space, there are layers upon layers of historical splendor. It is crowded with tourists, but it is very nice. There is a hall of Holy Relics inside, filled with artifacts, which belonged to various prophets from the Quran and the Bible – still intact – like the scepter of Moses, or the sword of King David, if you are prone to believing… To history loving visitors, it can present a disappointment – for there is no real indication what life in the Sultan premises would have been like – only exhibitions of weapons and artifacts. 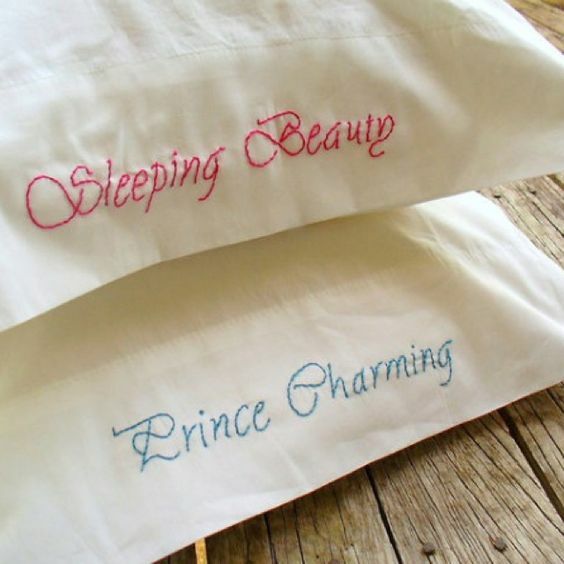 Do visit the harem! 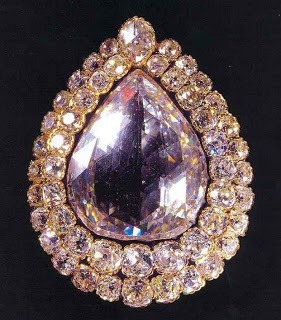 The women of the Sultan, even closed for their lifetime, have delighted in most refined luxury. 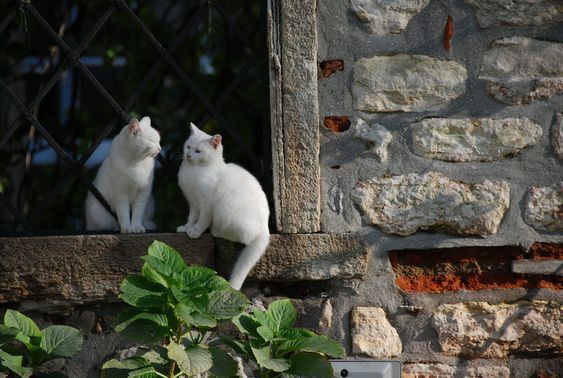 Look at the windows, the walls, and let your fantasy play wildly. 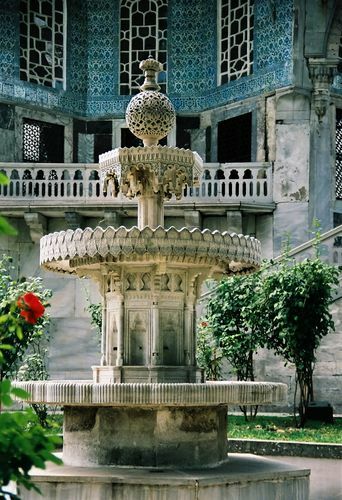 Here in the gardens, there are fountains and birds, such as seagulls, ducks, roosters and even peacocks. 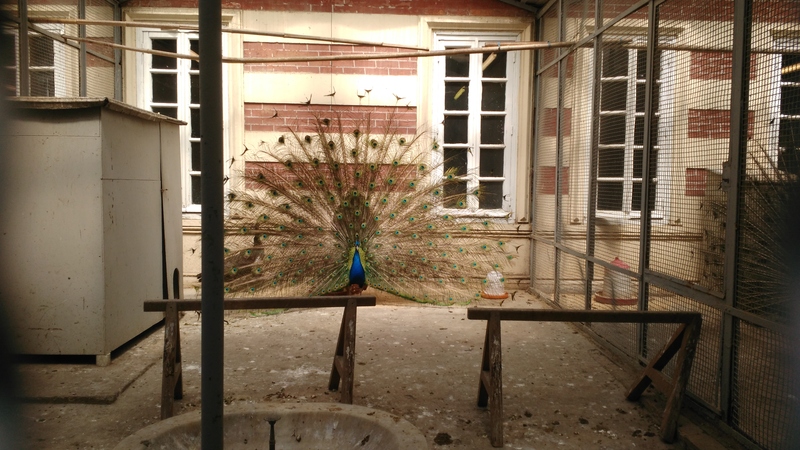 We delighted immensely in a courting dance of one of the peacocks – he had opened his fairy tail, and was trembling with excitement, wooing his lady in an exquisite and unexpected manner – the best natural scene of animal intelligence and tenderness I have ever come across. Statues of lions are lying in the grass by the sternly arranged yellow tulips. 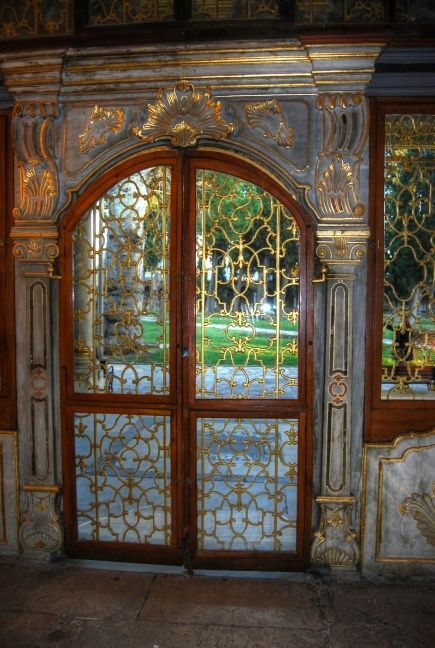 Bosphorus is seen through the windows of the main entrance hall Medhal. 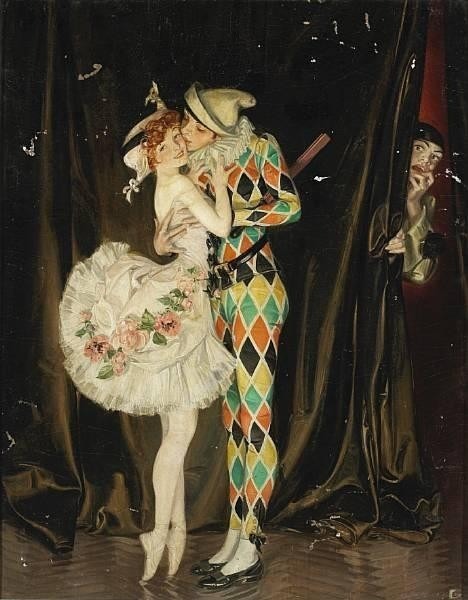 Rooms are full of the interior which is almost unbearably luxurious –heavy draperies, chandeliers, mirrors in golden frames on the wall, broad red-carpeted stairs, statues, vases, heavily ornamented ceilings, and even a grand piano, as well as belongings in glass, gold, and porcelain deserving of a King. 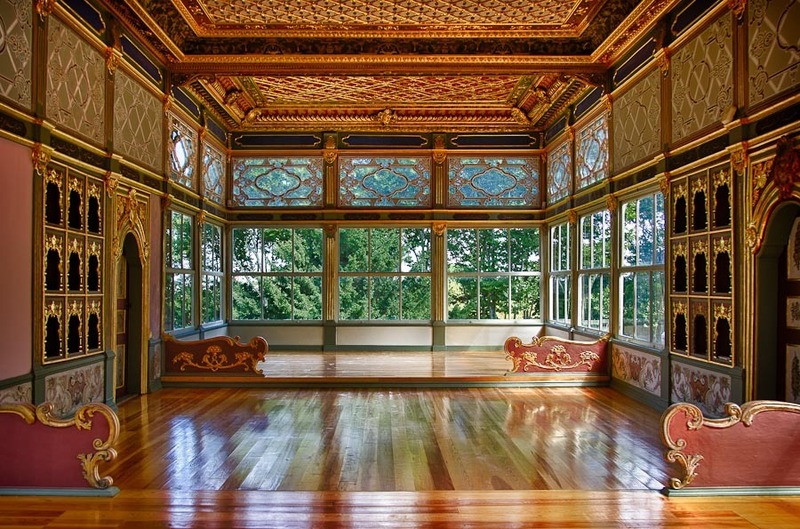 The Palace is a Turkish imitation of Versailles, and many of the beautiful objects you will come upon are imported from France. 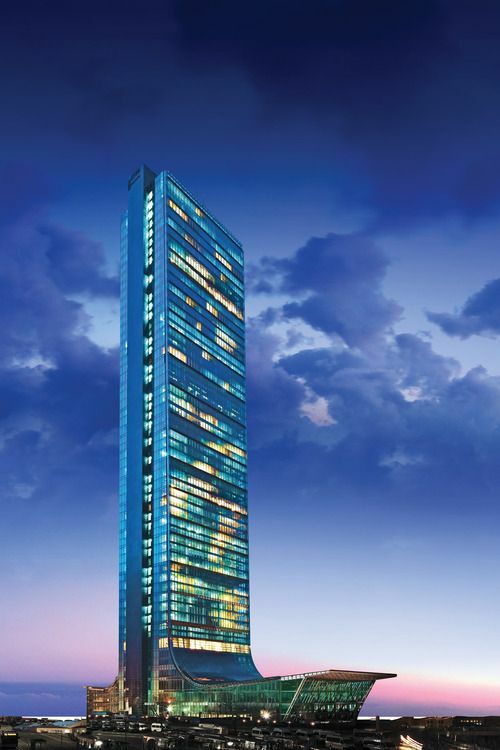 It’s the tallest mall building, the fourth tallest skyscraper in the world and it provides a skyline panoramic view of the entire city. You can have your coffee on the very top. There is also a 4D cinema feature. 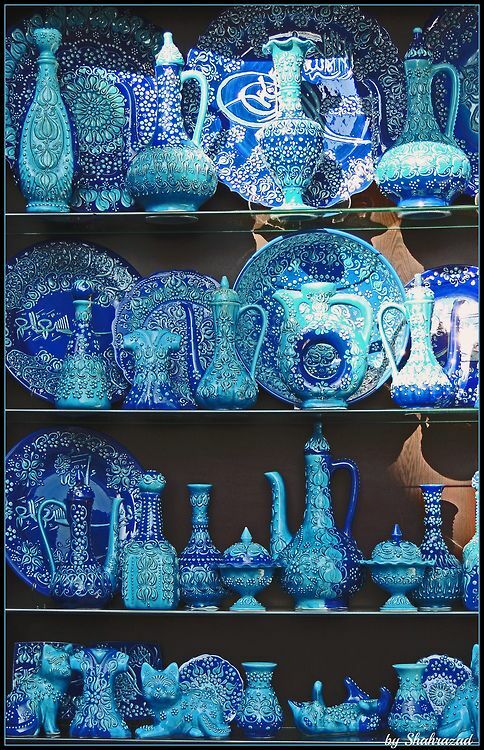 The Grand Bazaar of Istanbul is the place, where you can feel the legendary Turkish hospitability. The merchants treat you to entice you to buy their goods, then bargaining is obligatory. Sellers stop you on the street with delicious offers. Even if you are not looking for anything, in particular, you can come upon a bargain: a handcrafted silk rug, brand name jeans or the perfect cup of tea. There is also the aromatic Spice Bazaar, where you can get saffron and cinnamon and curry, and all kind of pleasant aromatic herbs and spices, which once were as expensive as gold itself. This is a Bulgarian Orthodox Church made of iron elements weighing 500 tons, which were produced in Vienna and transported to Istanbul by ship. 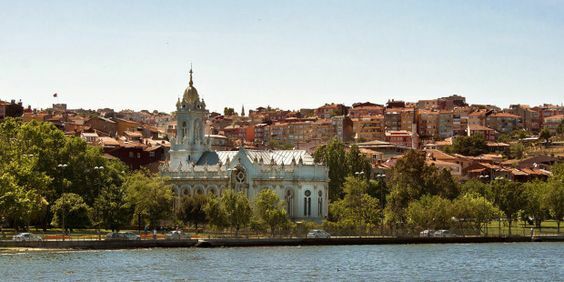 Located in a small, attractive park, on the bank of the Golden Horn, it is one of the first portable churches and it’s quite elegant with its golden vaults. 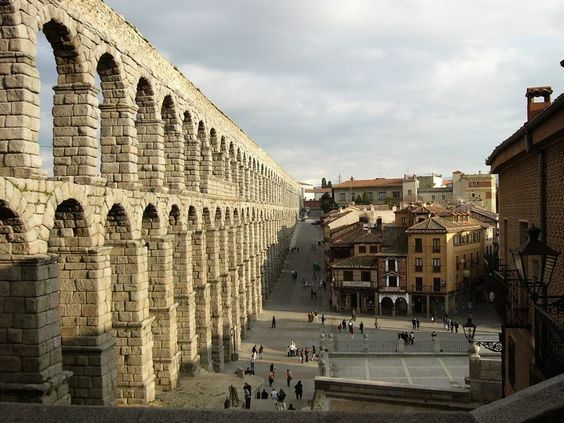 The Valens Aqueduct was the major water-providing system of Constantinople, completed by Roman Emperor Valence, maintained and used by the Byzantines and later the Ottomans, and it still remains one of the iconic city landmarks. Seagulls float in the air around your water vessel, and the wind plays with your hair. You squint at the setting Sun, and the strident wind may cause you discomfort, but no pain, no gain. 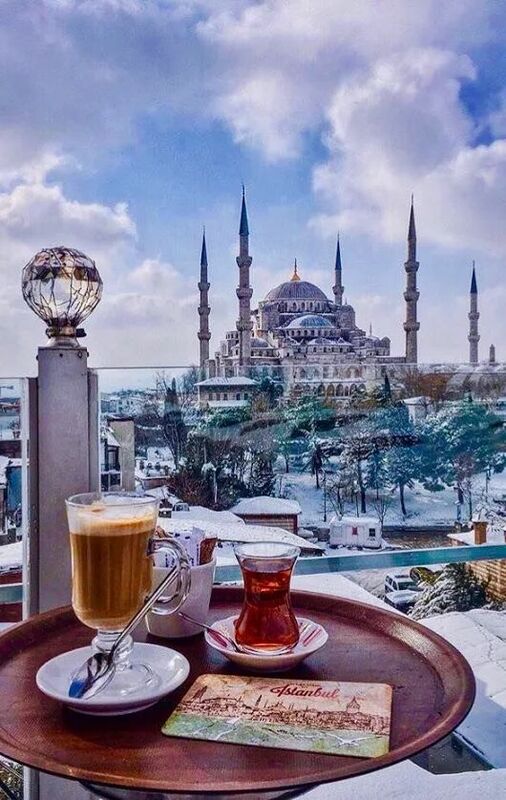 If you are smarter you will sit downstairs in the ship’s restaurant, where you can still see the beautiful banks with the churches and the palaces, and reside in a normal temperature, while sipping hot Turkish coffee. 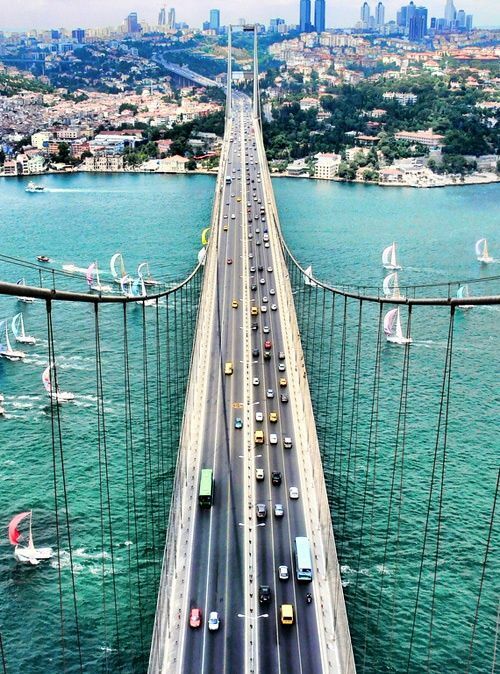 Bosphorus carries you and you pass silently by the beautiful palaces and mosques that reside on its banks. If you treat a female company with one male child in a café or a restaurant, prepare the infant to receive the bill – for he is the man! 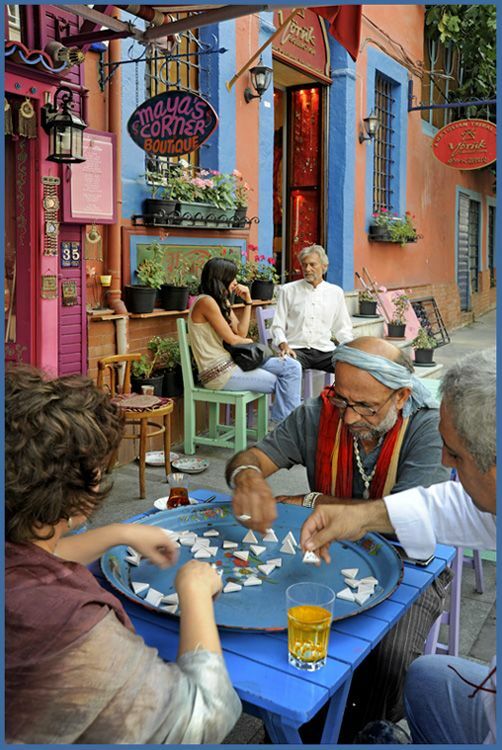 Things you definitely have to try in Istanbul: hookah, Turkish delight, Turkish coffee, baklava… Truly Istanbul is a food haven. They do not eat pork, therefore they would put lamb in anything. Careful with the spicy food! In some places, after 10 you can enjoy a variety program of belly dancers, dressed in flamboyant colors.